Leaders often gravitate to the flashy first impression, low-hanging fruit, or the approval and support garnered from successful fast action. But when a godly longview is our aim, we develop a whole different class of skills, relationships and priorities that can carry us throughout a lifetime of meaningful leadership, rather than allowing our focus to fix solely on the next hurdle ahead. Which is why I’ve imagined a reality show for leaders ever since they took over the television airwaves. The show pits three leadership teams in a boat race. Of course it is filmed on a beautiful white sandy beach with crystal clear blue water, located in a tropical string of islands in some remote part of the world that makes television producers happy. This morning, we will have the funeral to celebrate the life of Dr. Jack Scott, our former chair of the Bible Department – 1986 through 1992. Jack Brown Scott, 83, went home to be with the Lord, June 13, 2011, shortly after celebrating his wedding anniversary with his wife of 57 years, Eleanor. A funeral service will be held at 10:30 a.m. Thursday at First Presbyterian Church of Jackson with burial following in the Clinton Cemetery. He was born January 2, 1928, in Greensboro, North Carolina, to Lacy Allen and Mamie Brown Scott. He married Eleanor Lier Caslick of Paris, Kentucky, in 1954. Jack Scott graduated from Greensboro High School in 1945, from Davidson College with a B.A. in 1949, from Columbia Theological Seminary with an M.Div. in 1952, and from Dropsie University in Philadelphia with a Ph.D. in 1976. He served as a church planting missionary with the Presbyterian Church in South Korea from 1952 to 1957, where he met his bride, Eleanor, who was serving as a medical missionary with the Presbyterian Church. The two married and had two children while in Korea before returning to the United States in 1957; the couple returned to Korea for several weeks in 1979 in honor of their 25th anniversary, and he preached at many of the churches he had helped start in the 1950s. He served as the pastor of the Springfield Presbyterian Church in Springfield, KY, from 1958 to 1960 and the Mt. Salus Presbyterian Church in Clinton, MS, from 1961 to 1966. He was a founding faculty member of Reformed Theological Seminary in Jackson and served as Professor of Old Testament and Hebrew until 1977. From 1977 to 1986 he worked as a writer for the Christian Education Committee of the Presbyterian Church in America, and in that capacity wrote numerous Biblical study books, including a multivolume Adult Biblical Education Sunday School series from 1977 to 1986. In addition to his work for the denomination, he wrote several works of Biblical study; his most widely distributed book, God’s Plan Unfolded (1976), has been translated into multiple languages and used by students of the Bible around the world. He also wrote a weekly Sunday School lesson for the Clarion-Ledger for four decades from the 1960s to the 1990s. In 1986 he accepted the position of Chair of the Department of Biblical Studies, Christian Ministries, and Philosophy at Belhaven University and served in that capacity until his retirement in 1992; upon retirement he was named Professor Emeritus. After retirement, Scott continued to teach and preach across the southeast and the world, travelling as far as Malaysia in the early 1990s. He was a founding member of the Presbyterian Church in America in 1973 and a long time member of the Mississippi Valley Presbytery. In 2005 many of his former students and the General Assembly of the PCA honored him with resolutions, honorary dinners, and a festschrift entitled Interpreting and Teaching the Word of Hope. In recent years he and his wife have attended Pear Orchard Presbyterian Church in Ridgeland where he has taught the Reflector’s Sunday School Class on a weekly basis. He is survived by his wife Eleanor Caslick Scott of Jackson, their children, Ann Wiley Scott of Ridgeland, Edward Allen and Charlotte Anderson Scott of Ridgeland, Caroline Brown Scott of Chattanooga, TN, and John Thomas and Holly Roub Scott of Macon, GA, seven grandchildren, Antigone Davoulas of Lookout Mountain, GA, Blake and Austin Scott of Ridgeland, and Will, Mark, Andrew, and Katie Scott of Macon, GA, and his brother Lacy Pershing Scott of San Diego, CA.In lieu of flowers, the family requests individuals make a donation to Wellspring of Life, a Christian ministry to the people of Korea; send donations to: Wellspring of Life (http://wellspringkorea.org), 16 Stoney Fork Road, Barnardsville, NC 28709. 1. PUBLIC University costs have doubled in the last ten years, with the average cost now $16,140 – equaling about the cost of a private education at Belhaven next year of $18,420. But we are even less expensive than the public schools since most of our students also receive some scholarship assistance that lowers our cost. Plus, there are other important factors most families don’t consider about cost until it’s too late. 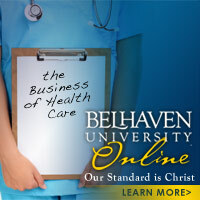 Low costs: Belhaven University has been named a “Best Buy” college for 9 consecutive years. 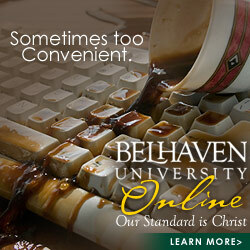 Scholarships and Aid: 90% of Belhaven students receive financial aid. Students will complete their degree on time. Value: the most important financial investment of your life. 2. The US Department of Labor reports there is a sharp contrast in the unemployment rate between college graduates and others. We are expanding our campus with a new facility to serve our Aspire students and graduate business students. The growth of our ASPIRE program and graduate enrollment has brought us to an wonderful, but complex challenge – we are totally out of space for evening students on our campus. And that space limitation has packed classrooms and made the parking in the evening a difficult challenge. This will change August as we take a bold step that will enhance our adult’s learning experience, make their parking abundant, and allow them learning a first class corporate environment that reflects the career desires of our adult students. 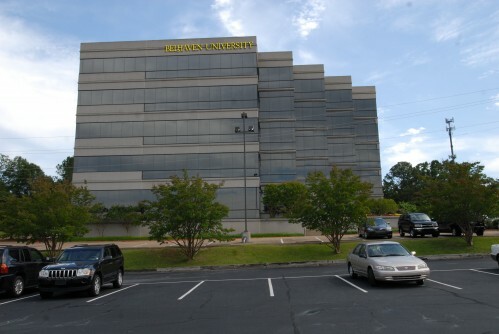 This fall, our classrooms for our ASPIRE and business graduate programs will move from the Belhaven campus to the LeFleur Building just north of our campus, on the I-55 Frontage Road, about a half mile north of Northside Drive. It is a well known five-story building – WorldCom had their offices their in their early days, and currently the building houses the FDIC, the Ford Foundation, and other corporate entities in Jackson. 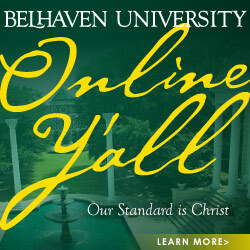 It is near the Picadilly Cafeteria (and everyone knows where that is), but it may become known as the Belhaven University building – our name will be across the top of the building in huge letters. All classes for ASPIRE undergraduate and business graduate degrees will be in the LeFleur Building. We will have 17 new classrooms that will all be “smart classrooms” with the proper technology to strengthen the learning experience. The classrooms will be on the second floor, while the main floor, right inside the front door, will be our ASPIRE administrative offices. Our August classes will begin in the new building, but the space may not be ready for offices until a few weeks later…so they will probably move during September. The classes for the graduate education and public administration will remain on our Peachtree Street campus. When you see the new location, I think you’ll agree the Lord has gone before us to find the right place to extend our campus. While the summer months are typically a slower time on many college campuses, I am very pleased that we are adding 5 new Online degrees as well as offering a variety of concentrations within these degrees. 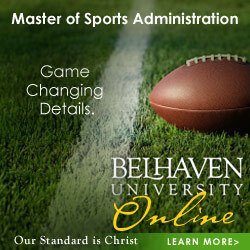 Click on any of the degrees below to learn more. Today is the day we are launching the advertising for these programs which will begin classes this August. You can read the press release or view some of the ads you might come across as you browse the web. I am very pleased that we will be able to work with even more students from many broad and diverse backgrounds…many of whom are unable to enroll in traditional or adult classes. Online gives us the opportunity to deliver an academically rigorous and Christ-centered education to students in Mississippi and around the world, all in the tradition of good ole Southern hospitality. See you Online Y’all!